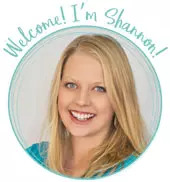 by Shannon Clark in Giving Birth Naturally | 11 comments | Contains affiliate links. Are you preparing for a natural birth? 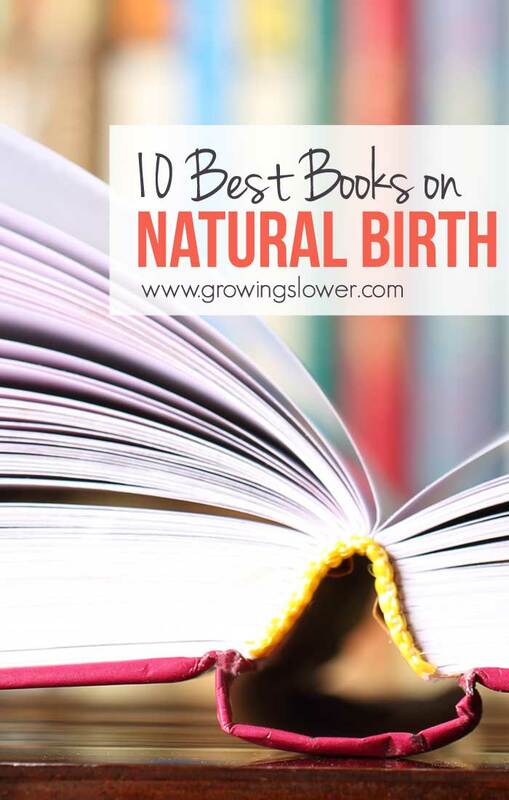 Here’s a list of the 10 best books on natural birth. That’s one for each month of your pregnancy, plus an extra in case you’re late like I was. I found these immensely helpful in preparing for my two amazing natural home births. And in case your due date is coming up soon, I’ll give you cheats for the most important sections to read. These are all books that I’ve read and personally recommend. There were some others that I read during my pregnancy that didn’t make the cut. These are the best that I found, although I know there are still lots of good reads out there that I haven’t gotten to yet. I’d love if you’d share your favorites in the comments. You won’t actually know you’re pregnant until almost the whole first month has passed, that doesn’t leave much time to read a whole book. For month one I recommend a film instead. 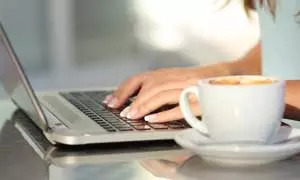 Once you get that positive test or even while you’re trying to conceive, watch The Business of Being Born. This is a great way to become familiar with the many decisions you’ll need to make for your healthcare during pregnancy and birth. This is a great one to watch with your birth partner as well. I am so thankful I happened to find this documentary on Netflix at the height of my baby fever before we started trying, so I went into my pregnancy and birth with eyes wide open. During month two you’ll start making some of the most important decisions of your pregnancy. Who will your healthcare provider be? Where will you give birth? Your Best Birth will help you ask the right questions when making these important selections. It’s not as simple as calling up your usual gynecologist and letting them know you’re pregnant! I was pleasantly surprised that this book by Rikki Lake and Abby Epstein was not just a rehash of The Business of Being Born movie. Even better, it is sprinkled throughout with positive natural birth stories, many from names you’ll recognize. Ina May’s Guide to Childbirth really is the ultimate guide to natural birth by one of America’s most experienced and wise midwives. The whole first half of the book is filled with powerful positive natural birth stories told by the birthing mothers themselves. In the second half Ina May shares her wisdom and philosophy on all things labor and birth. She lists the statistics for the births she has attended at the back of the book. It is extremely impressive, and gives a taste that almost all women really are able to birth their babies naturally. I learned so much from this book that I directly implemented during my labor. This is an absolute must read for every woman planning a natural birth. I read HypnoBirthing hoping to pick up some relaxation techniques I could use during my birth. After reading it, I knew I would use very little from the book. The visualization techniques and scripts with names like rainbow relaxation and blue satin ribbons just did not resonate with me. Now I know that there’s no way I could have even remembered them as I focused fully on contractions. However, I did use the sleep breathing technique during labor and many times during pregnancy and motherhood. It is amazingly effective for dealing with any type of discomfort, and I often find myself actually falling asleep while using it. I also found the concept of breathing baby down rather than pushing (in the Experiencing Birth section) really intriguing. I didn’t have the patience to use it during my first birth, but I might revisit it in the future. Husband-Coached Childbirth: The Bradley Method of Natural Childbirth is the book that my mother in law read while preparing for labor and birth nearly 30 years ago. The value of Dr. Bradley’s words is as inestimable now as when they were first published in 1965. When it was written, having husbands at the birth rather than pacing the waiting room was a groundbreaking concept. I love how this book is written to the birth partner and instructs on how best to help the birthing mother through the entire pregnancy, birth, breastfeeding and beyond. I recommend reading this entire book, but at least take a look at Chapter 1-10, 21, & 22. The Womanly Art of Breastfeeding is the must-have reference guide every breastfeeding mother needs at her fingertips. It answers almost every conceivable question about breastfeeding. While we always seem to tell each other about how hard breastfeeding is, it is possible to have a positive breastfeeding experience. The Womanly Art of Breastfeeding has been such a great resource for me for everything from birth to starting solids. It leaves you feeling empowered that you can successfully feed your baby. Before baby arrives, at least read Chapters 4-8. Aside from your birth plan, one of the first big decisions you’ll have to make as a parent is about vaccines. It is important to be informed about this as most hospitals routinely administer the first vaccine on the very day the baby is born! The Vaccine Book: Making the Right Decision for Your Child gives a well balanced overview of the research and lets you decide for yourself. Very eye opening! One of the other important decisions you’ll have to make for your newborn (if you have a boy) is whether or not to circumcise. My research challenged some of the misconceptions about circumcision. For many families circumcision isn’t just a given anymore! I resisted reading too many baby and parenting books because I didn’t want to get into the worrying or competition of baby hitting milestones by a certain age. I was very glad I did take a look at The Baby Book: Everything You Need to Know About Your Baby from Birth to Age Two while I was pregnant though. This is a thick book that will carry you through the first couple years of parenting, so there’s no need to read it all right now. I was glad I made it through Chapters 1-9, so I knew not to worry about the normal things you never know about newborns until you have one like baby acne, cradle cap, and creaking joints. The Sears experience of naturally parenting 8 children along with their medical background is priceless. Have 9 months gone by and you’re still pregnant like I was? Hang in there Mama! Reread Ina May’s Guide to Childbirth birth stories. There is no better way to learn all the ways natural birth can manifest and what to expect if you’ve never experienced it before. I will always tenderly remember reading and rereading these inspirational stories from women naturally birthing their babies. And just one more! I was so inspired by my own natural birth stories, I wrote my own natural birth book. It’s called Natural Birth Stories: The Real Mom’s Guide to an Empowering Natural Birth. My dream is that every mom will become fully informed about her choices for childbirth before giving birth. I hope that after reading this book you’ll feel confident and making the many decisions that come along with birth that are best for you and your family! What book would you recommend to expectant moms? This is a great list! I also highly recommend Henci Goer’s book “The Thinking Woman’s Guide to a Better Birth.” Both my husband and I really got a lot out of it! Thanks Jennifer! I will be sure to pick that up for next time. Way to go getting your hubby to read pregnancy books along with you! This is a great resource. I went through Hypnobirthing classes and tried to use that method, even though the same things that threw you off didn’t resonate with me either. It was the drug-free childbirth option recommended by my ob. It didn’t go well for me and I ended up with a c-section, which may have happened anyway due to our unique set of circumstances, but I’m intrigued to read the other books you recommend before another pregnancy. I’d like to think there may still be a chance to experience a natural birth. I know for me Hypnobirthing won’t be it. Great list! I really liked the business of being born, and one of these days I want to read Ina May’s Guide to Childbirth – I’ve heard great things about it! I read and loved Husband Coached Childbirth… but not until after my little one was born. How I wish I’d read it sooner! Netflix also has, “Pregnant in America” is also great to watch after “The Business of Being Born”. My husband thought it was some of the same stuff, which it is about the same subject so I guess in a way, but to me it just built upon what I had already watched. It gave some new facts I hadn’t heard, and also showed some appaling interactions with healthcare providers. Anyone who liked “TBBB” will like “PIA”. Pregnant in America really did have some appalling issues raised. I found it was very emotional for me to watch it while I was pregnant! Ina May’s book really took the fear out of the birthing experience for me. After reading so many stories of normal births that ended with a healthy baby I was confident that I could do it on my own. I brought it with me when I went to the birth center in case I needed reassurance. This is an awesome list of books! I read every book out there that I could find when I was pregnant. Love how you make it easier to choose the right ones for each stage. I loved the Business of Being Born. It was so eye-opening! I read Ina May’s book at my Mw’s reccommendation, but I haven’t read the others. I’ll have to look them up! Your book, Natural Birth Stories, was one of the first that I read and I loved it. I also loved Natural Hospital Birth by Cynthia Gabriel and Natural Birth for the Mainstream Mama by Lauren Rauseo. Those two were my favorite. I have read several more this pregnancy including Ina May’s Guide to Childbirth and The Thinking Woman’s Guide to a Better Birth (both recommended by my midwife). I attempted a natural unmedicated birth with my first, and ended up with medications to speed up labor and an epidural. But this time I am giving birth with a midwife and a doula in a birth center and I am looking forward to the experience. Thank you for writing your book. I really enjoyed it and have recommended it to friends who are pregnant or planning on starting a family some day. Thank you so much for your kind words! It’s such a blessing to me anytime I hear that the book was an encouragement to another mama! Congrats on your new little one, and I wish you the best with your upcoming birth!